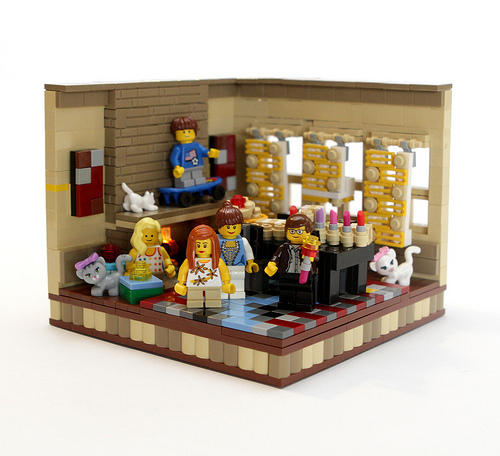 Hillel Cooperman over at BrickPOP has built a lovely vignette of his family in their living room on Chanukah (which starts this evening at sunset). I know skateboarding is considered an “extreme” sport, but skateboarding on the mantel of a lit fireplace?! I am impressed!